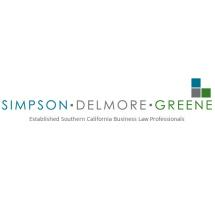 Simpson Delmore Greene LLP in San Diego, California, represents companies, from start-ups to Fortune 500s, from small local businesses to large state-wide organizations, in business litigation and assists in legal matters that support the life of their business. We partner with our business clients when a deal needs to be structured, employee issues managed, intellectual property identified and protected or a dispute needs to be resolved in arbitration or court. Our goal is to take the mystery out of the legal process. Listening carefully to our clients' objectives, we then quickly identify the risks, provide the options and construct solutions to help them make better decisions. Our five partners each bring more than two decades' experience serving the legal needs of business to the law firm. They lead a team of lawyers with specialized experience and knowledge of the legal areas that most concern business: corporate and business planning, labor and employment law, construction and real estate law, securities law, injury and insurance law and business litigation. Our business litigation attorneys are exceptionally well-prepared to resolve disputes through settlement negotiations, mediation and arbitration, and when seasoned judgment compels, to pursue satisfactory outcomes in the courtroom. We have litigated contract disputes, construction, real estate, employment, securities and insurance law matters successfully in state and federal courts throughout California. Simpson Delmore Greene LLP believes that our creative professionals, practical advice and efficient solutions set us apart and our responsive and attentive approach builds lasting relationships with our business clients. We invite you to arrange a free initial consultation to discuss your legal needs in our downtown San Diego or North San Diego office.